"The path from dreams to success does exist. May you have the vision to find it, the courage to get on to it, and the perseverance to follow it." Our Middle School student Rishaan Patil was invited to perform with his band (Six pack band 2.0) at Hindustan Unilever India for their Global CEO, Paul Polman's visit on Friday, 22nd February. 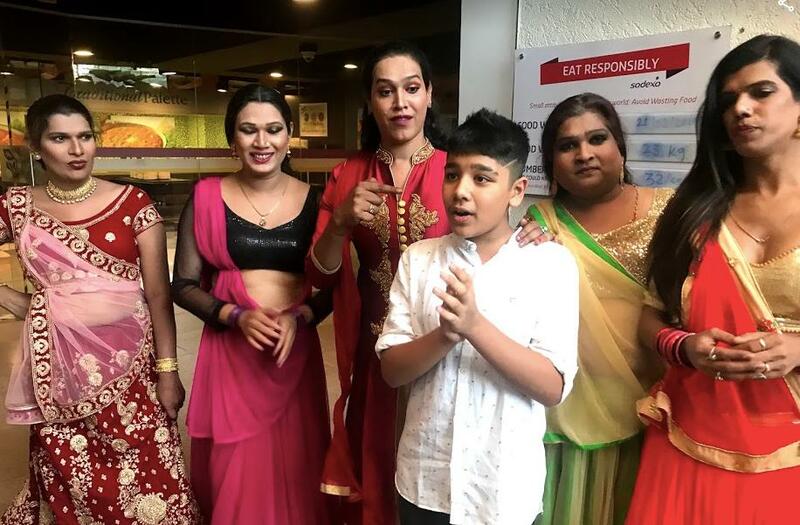 There, Rishaan had the exciting opportunity to interact with the super talented members of India's first transgender music group - Six Pack Band 1.0. This was a memorable moment for him as well as the band, as they shared their experiences and stories with each other. What a delightful way to celebrate diversity among people, and connect through the common language of music. Rock on, Rishaan! Yet another theme day went by and this time, students and teachers donned the apparel of their favourite book characters! We saw some well-loved book characters like Harry Potter, Matilda, Aladdin, Peter Pan, Cinderella, Peppa Pig, join forces with superheroes like Batman, Superman, Spiderman, and even had a few characters like Krishna, Supandi and Akbar from regional books. 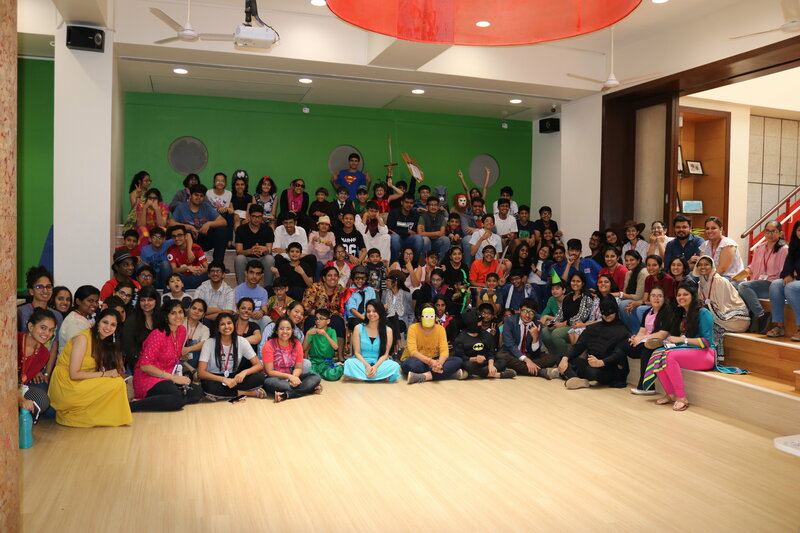 The Gateway school of Mumbai, has currently taken up the challenge of making a 10-12 minute movie. 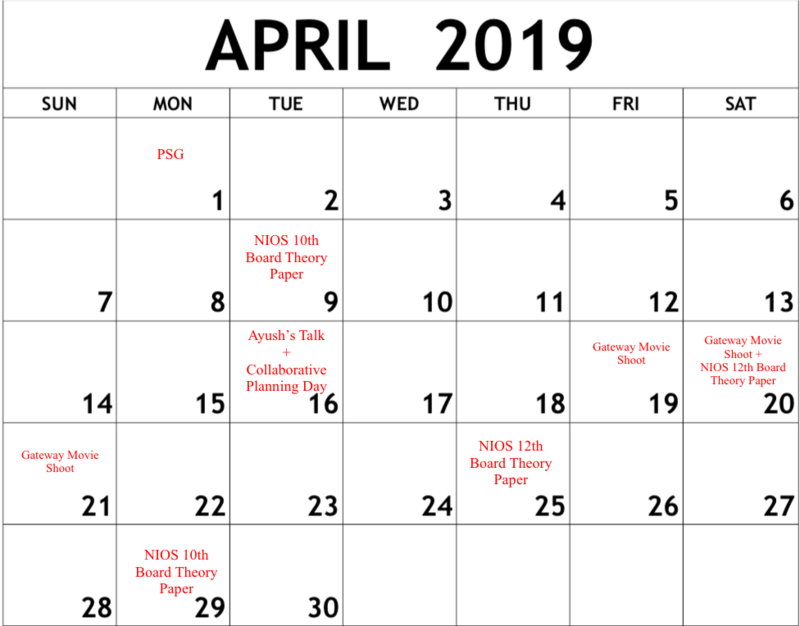 This student-driven project will be made in collaboration with acclaimed film-maker Mr. Mozez Singh, our Gateway community of students, staff, parents and external professionals in the film industry. This short film that aims to create awareness about the current environmental crisis will see our students take on script writing, production and costume design and various other roles and will be produced by our very own Gateway production house "The Gateway School of Mumbai Studio (GSOM Studio)". At this year's Annual General Meeting, our students had an opportunity to pitch the idea about creating this movie to the Advisory Board. They had a one-of-a-kind experience by painting a complete picture about the project since it’s conception. 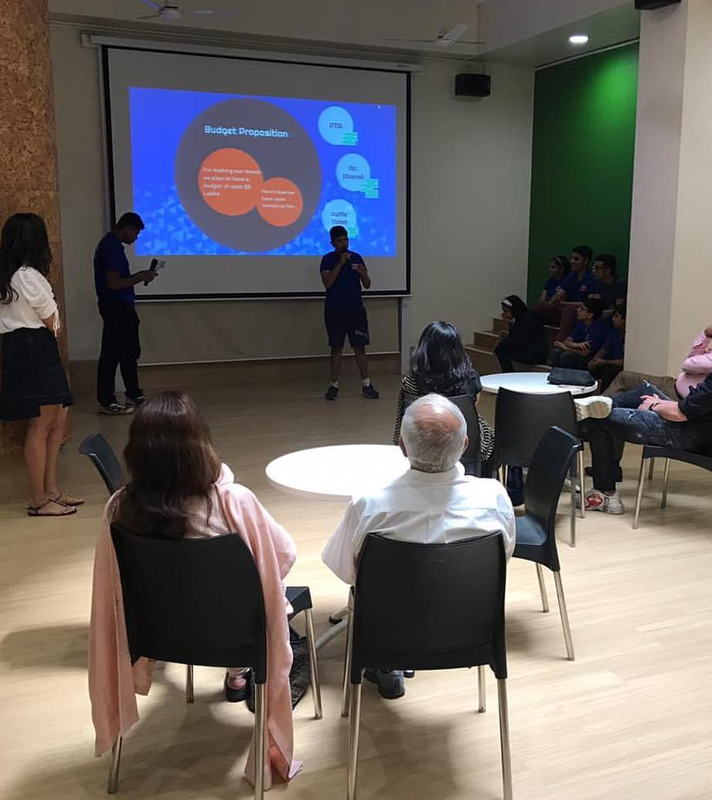 They also shared the concept for the movie, their plan to raise funds and explained how the movie will highlight the student's strengths and create environmental awareness. The Board Members were hooked and generously offered donations for the movie. To raise funds themselves for this very exciting venture, the entire Gateway Community is selling raffle tickets! Everyone who buys a ticket will have a chance to win amazing prizes like diamond jewelry, artwork and furniture by famous designers, designer clothes, IPL tickets, restaurant vouchers and much much more! Stay tuned for the Grand Raffle lucky draw and entertainment show to celebrate this project! The students of the High School Adaptive Program (HSAP) have been attending a cooking class in the community. 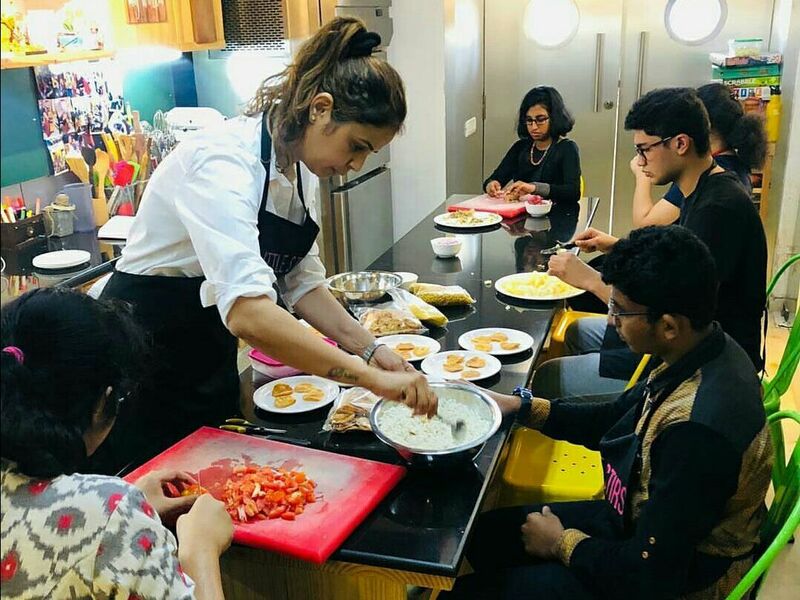 During their weekly sessions, the students have been and will continue exploring different cooking techniques with an expert, Ms. Miera Asrani, at her studio in Chembur. They have attempted making cookies, cheese toast, chaat and some delicious desserts. We’re so proud of our students for taking a step out of Gateway to learn new skills! 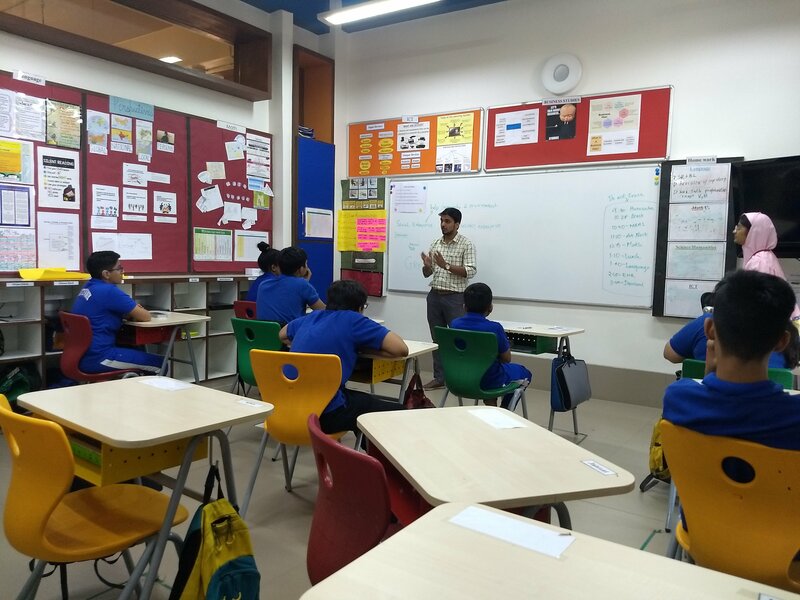 Mr. Dikshit Patil, VP Operations at Greensole visited The Creative Cave Business Studies class to talk to them about social enterprises. 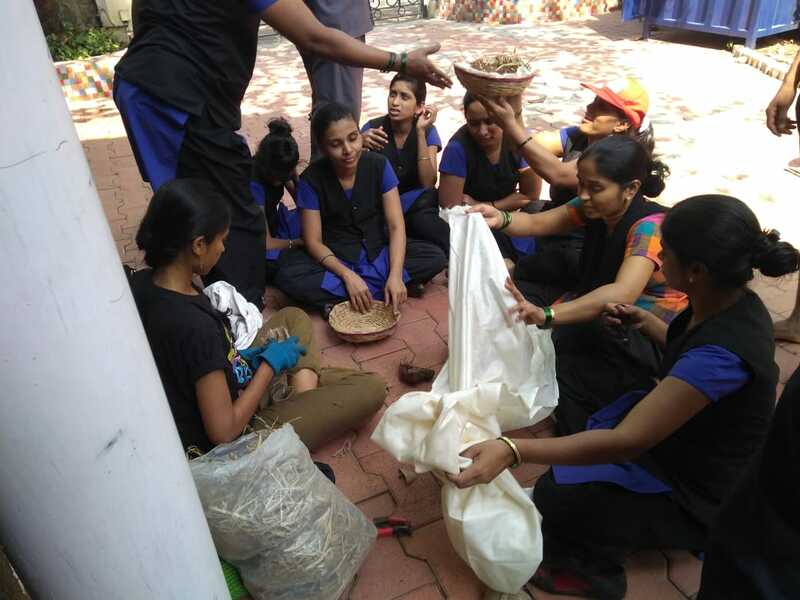 This gave the students a great opportunity to interact with an individual actually working in the social enterprise sector. He shared with the students how the objectives of social enterprises are different from regular businesses. The students also got a chance to ask their questions to Mr. Dikshit at the end of the session. The objective of this workshop was for parents to build basic background knowledge about speech and language, learn more about expressive language and more specifically the expressive language skills that typically developing children between 9 to 12 years are expected to achieve and explore. Our Speech Therapists Ms. Pooja Thakkar and Ms. Alisha Nagree shared different activities to foster the development of expressive language skills for children within this age group. Some hands-on quick and easy-to-do home-based activities to boost the development of expressive language were shared and practised. This time’s PSG was organized by parents of lower school students. They invited parents of high school students to share their experiences of transitioning from mainstream schools to Gateway, and the shift in mindset they had to go through in order for them to be more open to their child's individuality. Some of the parents shared the importance of life skills versus academics - highlighting that building practical knowledge was more effective than purely focusing on academic performance. The main theme that emerged from these conversations was to identify the child's strengths / interests and support them in their journey. This beautiful session ended with a scrumptious collection of food items in the form of a potluck organized by the parents of lower school students. This month our school had the privilege of meeting Ayush, a 16 year old teenager who was previously labeled on the spectrum. Ayush and his family shared with our parents and team about his journey, struggles and achievements with autism. With his humour, wit and incredible holistic approach to each experience of his life, Ayush won our hearts and opened our eyes. We were fortunate to learn about and understand autism from an insider’s perspective. The Gateway community is grateful to Ayush for allowing us to share in his journey and empowering us. Furthermore we look forward to having him with us again next month to interact with our student body. Stay tuned for another life changing experience! As part of the Science and Humanities curriculum in one of our Middle School classes, the students learned all about organic gardening. They had the opportunity to work with Ms. Melody D'Souza to grow some of Gateway's first ever organic plants! 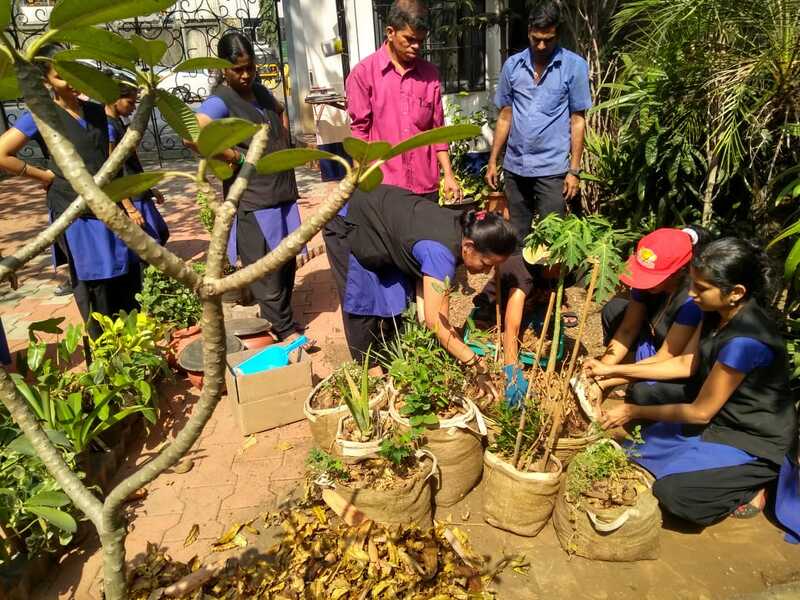 Little did we know then, that this would pave the way to the creation of “Our Oasis of Abundance”.With the vision and support from Ms. Indira Bodani and under the guidance of Ms. Melody D'Souza, the support staff have begun composting their own soil and planting some yummy organic plants right here in our school premises. This project aims not only to make the school a healthier and safer place for the students, but also at empowering our hardworking support staff and giving them a space to grow, collaborate and relax. We look forward to make this wonderful project a community affair with our amazing support staff at the core of it! 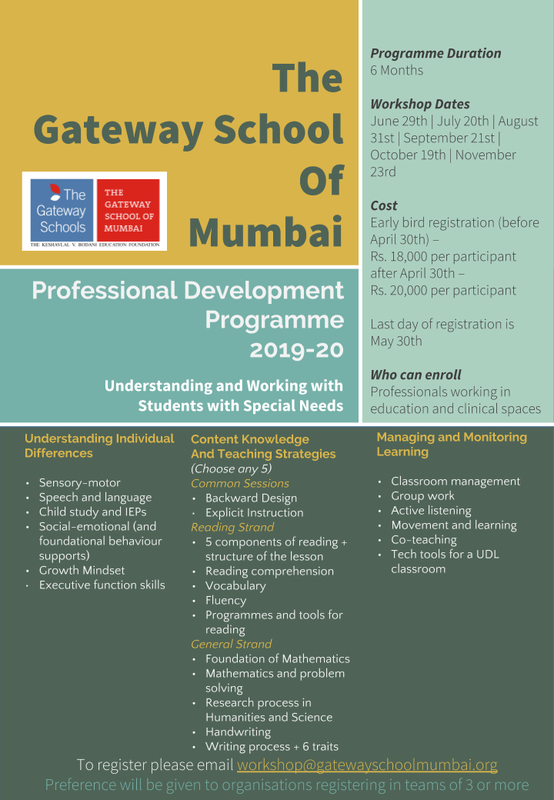 Gateway collaborated with Gati, Sol's Arc, Ummeed Child Development Center & Inspirium Holistic Care Centre, to put together a series of workshops, where mainstream schools were provided with simple toolkits to help them manage needs of students with learning disabilities. 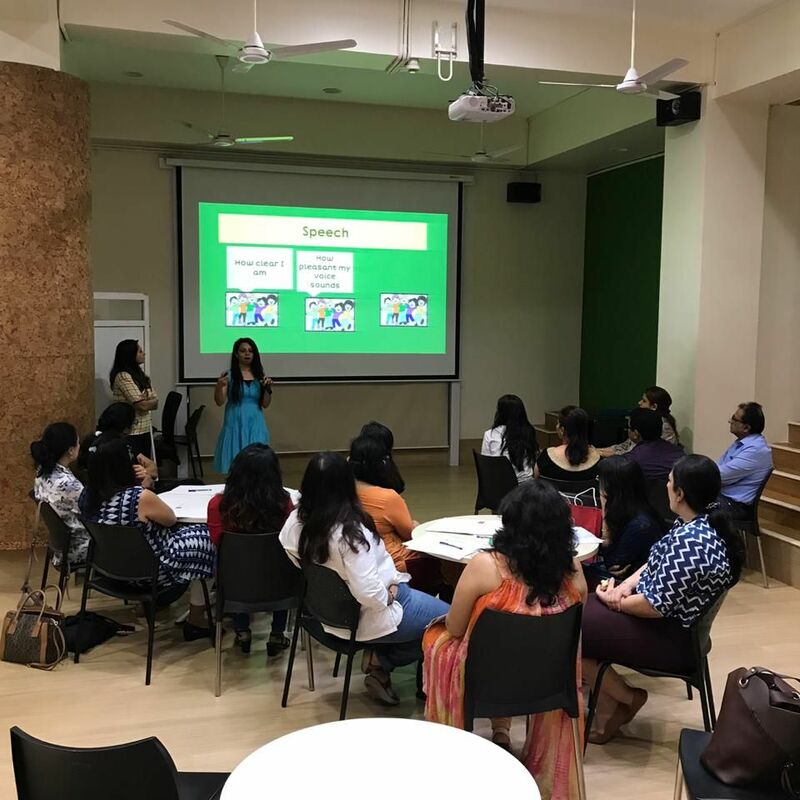 The workshop specifically targeted affordable private schools in Mumbai in which Dr. Radhika Misquitta and Ms. Manika Khanna facilitated a session on Growth Mindset for about 50 participants. Our united work with The Green Acres Academy continues to grow as we support this group of schools in their journey towards inclusion. We conducted a series of workshops on best practices including Reading Fluency, Mathematics and Problem Solving, the Response to Intervention Model, and Positive Behaviour Intervention and Supports. These workshops were facilitated by Dr. Radhika Misquitta, Ms. Radhika Zahedi, Ms. Rudri Joshi, Ms. Manika Khanna and Ms. Aditi Ghosh for over 100 participants! 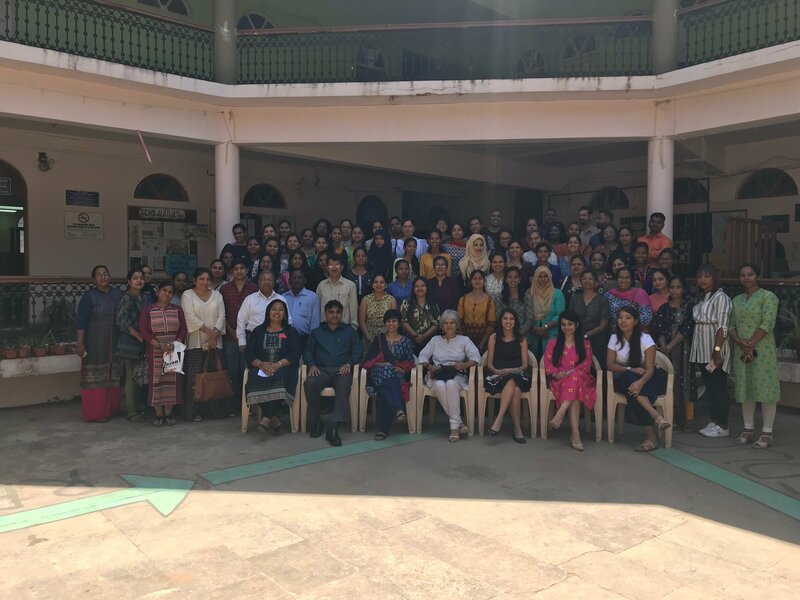 The Goa College of Home Science in partnership with the Directorate of Higher Education organised a two-day National Workshop titled ‘Learning Differently’, in the first week of March. 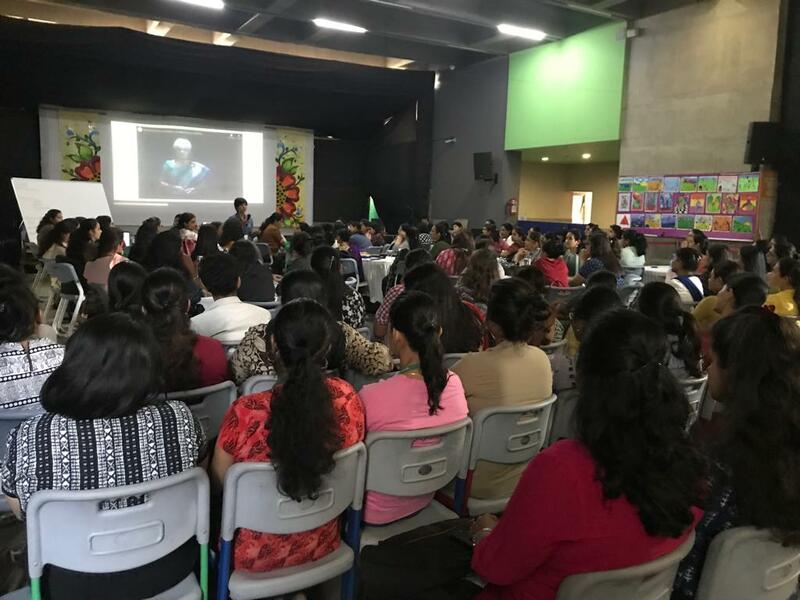 Dr. Radhika Misquitta, Ms. Manika Khanna, Ms. Rudri Joshi and Ms. Pooja Thakkar facilitated sessions on understanding inclusion, social and emotional development and learning difficulties, growth mindset, support in a UDL classroom, learning difficulties in Mathematics and Language (including speech and listening). In true Gateway spirit, the sessions were interactive ones which included a lot of sharing, group work, online games and quizzes. This workshop was featured in Goa’s “Gomantak times”. Read the article here! 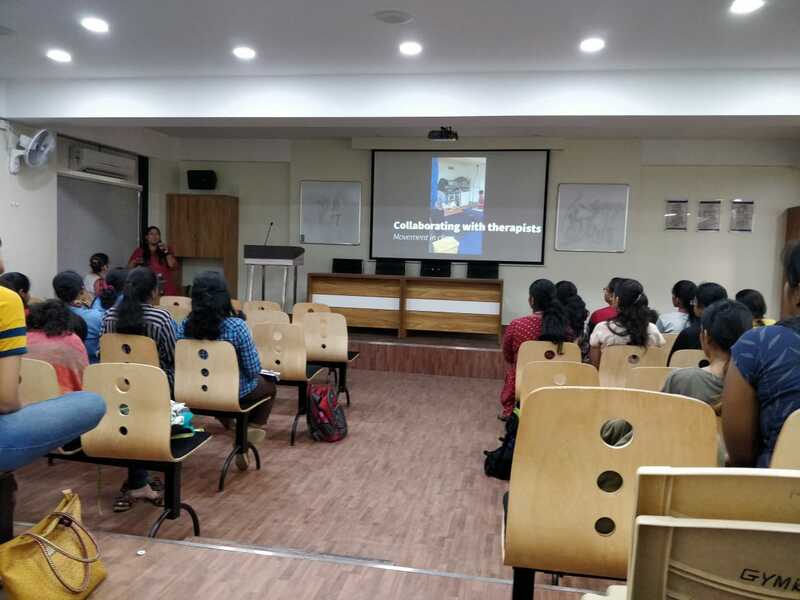 Ms. Radhika Chandrasekaran presented a talk on careers in Special Education as part of an initiative by the Department of Psychology at SIES College of Arts, Science and Commerce which aimed to give undergraduate students exposure to various career options related to the field of Psychology. 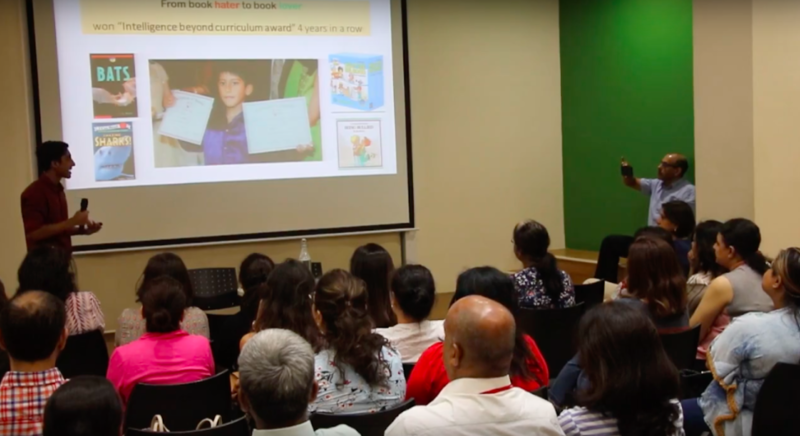 The 2.5 hours interactive session for 50 students focused on the need for Special Education services in India, an overview of the processes involved and the challenges and benefits of working in this field. The session was peppered with personal anecdotes and classroom videos to help students get a real sense of the day-to-day experiences of professionals in the field.